BookBrunch, in collaboration with the London Book Fair, is launching The Selfies, an awards scheme for self-published authors. The first award will be presented at the London Book Fair in March. The aim of the award, which taps into one of the fast growing areas of the book market, is to discover new talent and recognise the best self-published titles each year. In the first year, the awards will be for adult fiction titles only, but in future years it will cover further categories. Entries open on Wednesday, 5 December. All titles submitted need to have been published in English and in the UK since December 2017. Entries will be accepted only from authors who are predominantly or exclusively self-published - that is, where the authors themselves act as publisher/creative director. The cut-off date for submissions is Friday 21 December 2018. 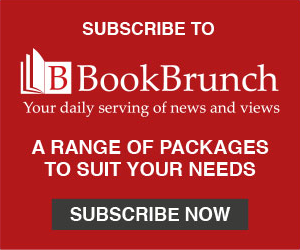 Those submitting work will receive a six-month subscription to BookBrunch (worth £60); shortlisted authors will receive membership of the 2019 Author HQ club at the London Book Fair, and the winning author will receive £1,500 and a profile in BookBrunch. There will be a small entrance fee of £25 plus VAT to cover administrative expenses. To register, please go to www.bookbrunch.co.uk, and click on the subscribe box (top right of the page, under the red menu bar). Select the 6 month subscription box, and when you are prompted to, use the code SELFIES2019. Please remember to tick the box to get the daily email sent to your pc or mobile! Once you have registered, a link will be sent to you to access the online submission form for completion. The submission form will ask for: name, contact details, title of book being submitted, blurb, when first published, sales since published, how many books published altogether, whether have an agent or not, whether you have been conventionally published or not, territories published in, and a short description of the marketing and publicity process, plus a synopsis and an electronic copy of the book being submitted. A preliminary judging panel will review all submissions and draw up a shortlist of up to 10 books for the final judging panel. This shortlist will be announced in late February via BookBrunch and partner agencies. The shortlist will be reviewed by an expert judging panel of industry specialists. The winner will be announced on Wednesday, 13 March at the London Book Fair Author HQ; it is expected that all shortlisted authors will be there. The winner will receive a cheque for £1,000, a profile in BookBrunch. For more information please see the website: www.theselfies.co.uk.